Ekin Cheng (鄭伊健) held the first show of his six-session concert, Along with Ekin, at the Hong Kong Coliseum yesterday. 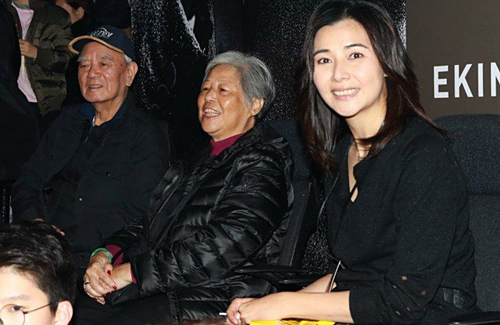 Wife Yoyo Mung (蒙嘉慧) and Ekin’s parents were also present in VIP seats to support his first performance in the coliseum after seven years. The 51-year-old sung all of his classic hit songs and drama theme songs, bringing back happy memories from the 1990s for the audience.. While singing one of his ballads, Ekin even made a rare public proclamation of love towards Yoyo. Yoyo and Ekin’s parents stayed to watch the entire performance. Seeing the harmonious atmosphere between his wife and parents, this was likely to have prompted him to become emotional. While singing one of his romantic hit song, “Love You for My Whole Life” <一生愛你一個>, he frequently faced towards Yoyo’s direction to convey his feelings through the loving lyrics. Since Ekin often isn’t comfortable with revealing his personal feelings in public, it was heartwarming to see him show gratitude and love for Yoyo in front of hundreds of people. His parents watched proudly while Yoyo was seen clearly moved by his words. Although there were no invited guest singers in the concert, his good friend Jerry Lamb’s (林曉峰) wife Lily Hong (康子妮), was a great supporter. Specialized in musical instruments, she was a guest musician and played the flute accompaniment to one of his songs. Since Yoyo’s last drama in 2013, she has kept a low profile away from the media. Ekin previously said her health hasn’t been too well, so she has been resting at home. But with Yoyo’s health getting better lately, she may have plans to return to filming dramas. LOL nevermind 6. 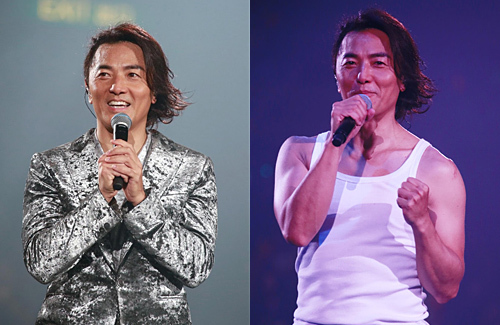 郑伊健 has fans enough to sell out even ONE concert, as a singer? 古惑仔 is about the only claim to fame he’s really famous for. This started as a five-concert series, then another date was added. Promoters don’t do that unless sales are really good. So I think it’s a mistranslation that Ekin declared his love to Yoyo in front of “hundreds” of people. More like 10,000! Anyway, I’m going on Wednesday and will see how full it is. @tshwgal It is standard amongst artist who hold concerts in HK to add shows. They always project less, then end up adding 1-10 shows depending on the popularity of the singer. They do it to bring good luck or whatever they believe the myth is to be able to ‘add’ shows. So in this case, he predicted less, and added only ONE show.. but in his eyes, he is still ‘adding’ so bring good luck. Look at all you no talent hacks hiding behind a keyboard passing judgement on someone. He acts and sings and entertains people. WTF do ya’ll do?